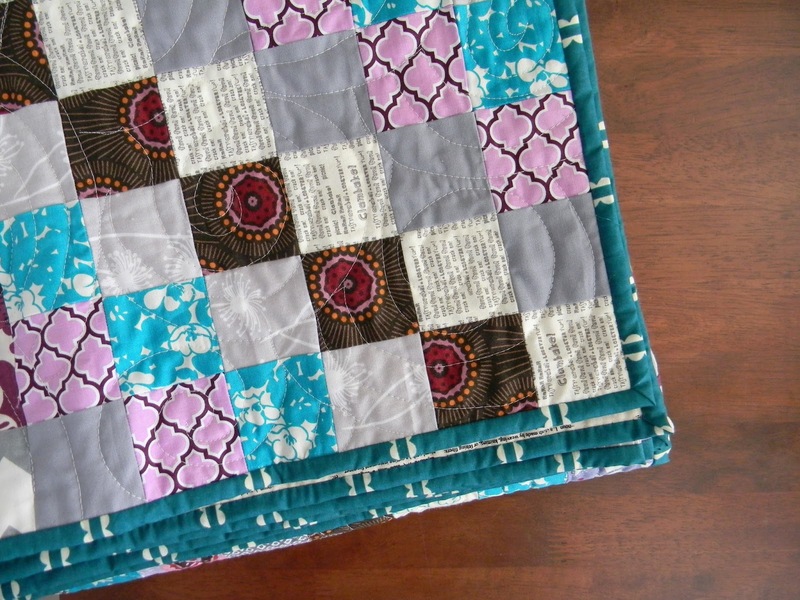 I thoroughly enjoyed my many trips around the world quilt. 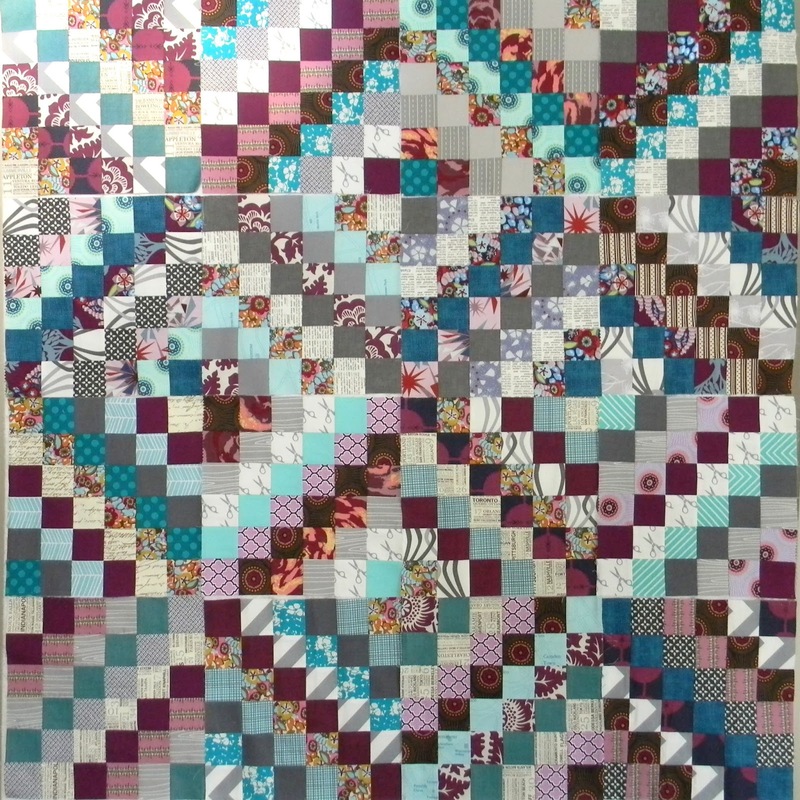 You can find out more about the pattern and quilt along in my previous post. 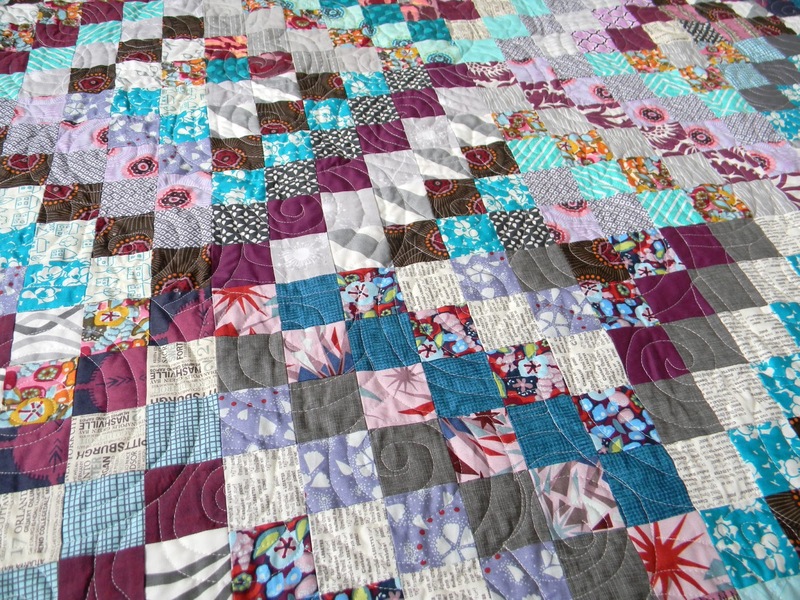 It was a complete pleasure to make this quilt from start to finish. 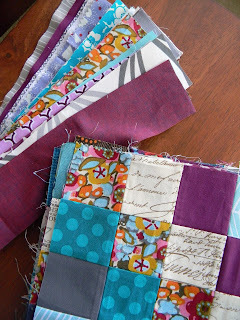 I was excited to pull scrap strips in my favorite color palette of the moment. I ended up raiding my stash as well, but it was worth it. 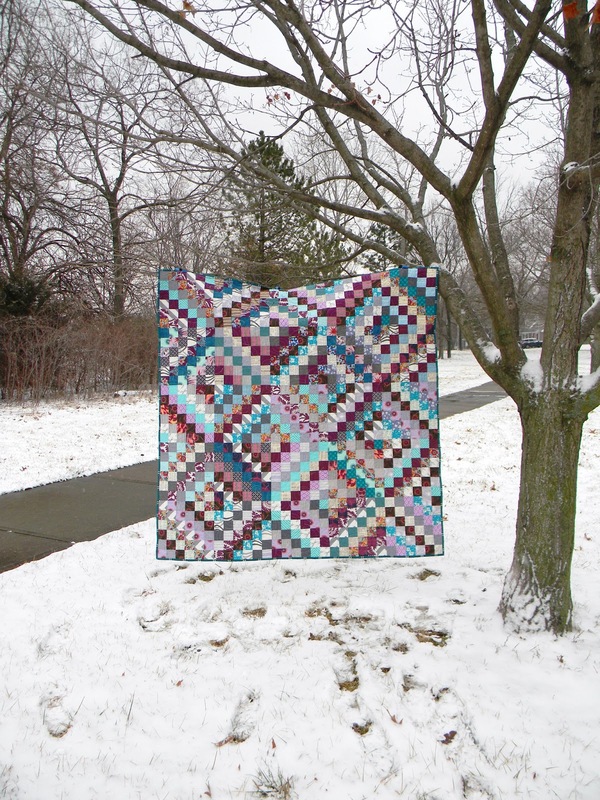 I made 25 blocks; the quilt finishes at 60 inches square. 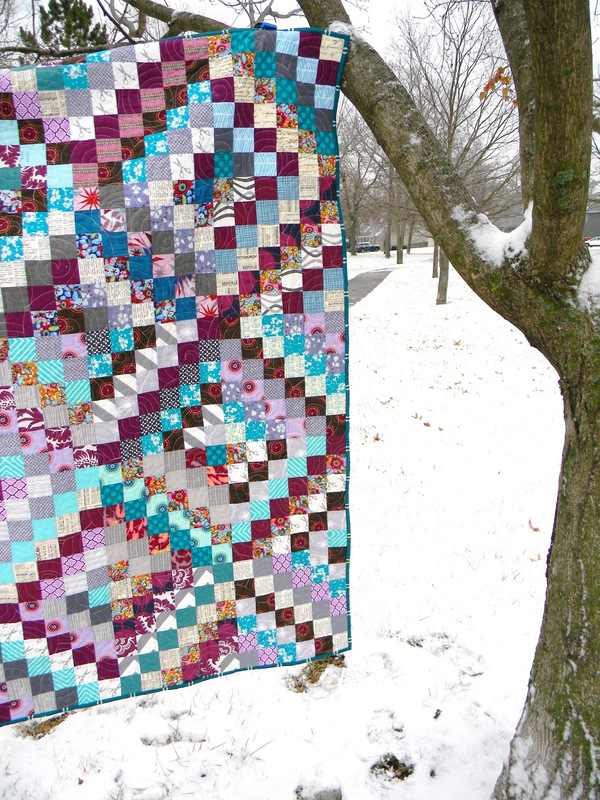 The colors are moody and wintry, and the rich teals are a new obsession for me. It is a hard color to find in fabrics. I want it rich and saturated, without white accents that disrupt the value. 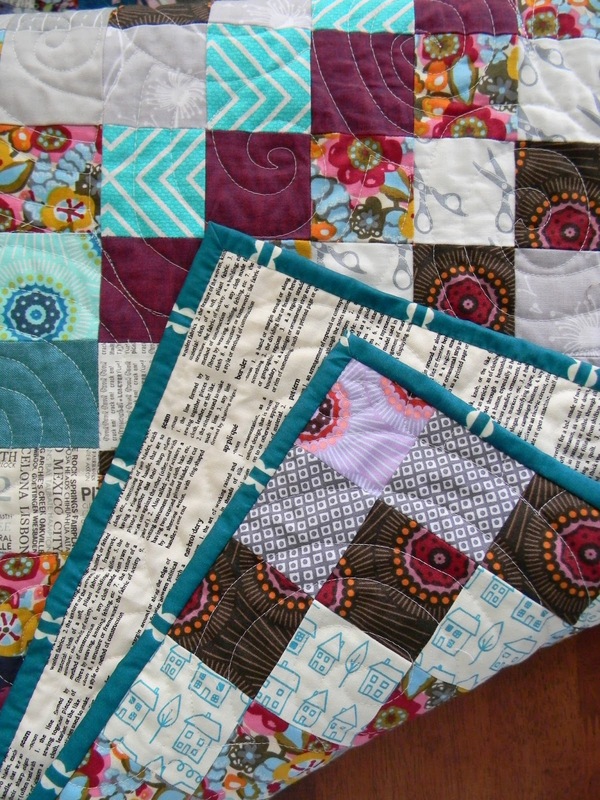 If you have a favorite dark turquoise or teal, let me know! The Anna Maria Horner pastry voile I chose for the binding is the perfect teal. 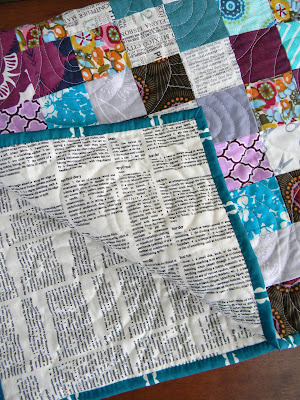 And let me tell you, if you have not hand sewn a voile binding, you are missing out! It was such a pleasure. I will definitely be using it again. I decided to try out a new free motion quilting design. I thought the busy quilt top would camouflage any imperfections, which thankfully seems to have been the case. I picked the concentric circles design from Angela's first book. The design is really quick and easy, although next time I will make the circles on a smaller scale (less than four inches across would be good I think), as the large circles were hard to keep even on my tiny machine. I really love the texture they create, almost like raindrop ripples in a puddle. The back is a text print from the Mama Said Sew line. I saw it on lucyandnorman's gorgeous scrappy trip along quilt and had to have it. You can find the throw sized quilt in my etsy shop. If you instagram (I'm @teaginny over there), no doubt you've seen many #scrappytripalong blocks popping up. There is also a flickr group for this informal quilt along. 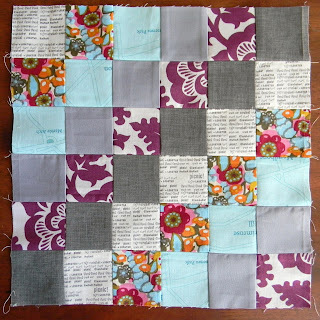 The tutorial for the block can be found on Quiltville, and it is rather ingenious. It uses strip sets to create blocks like the ones below. 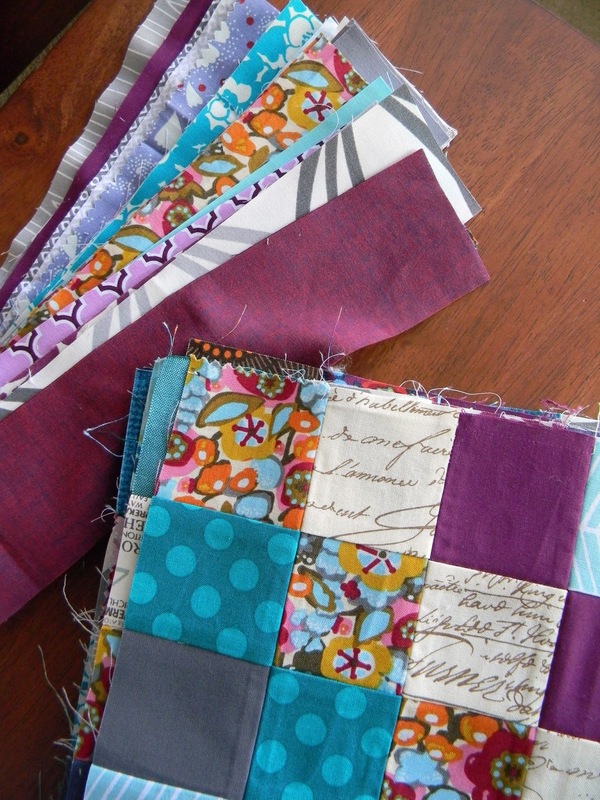 I started with my scrap bin of 2.5 inch strips and chose any fabrics in plum, teal, aqua, gray, and white. I've wanted to work with this color scheme for a while, so it's good to finally see them all together. It feels rich and wintry to me. When you put the blocks together in this configuration, you get the effect of many trips around the world. 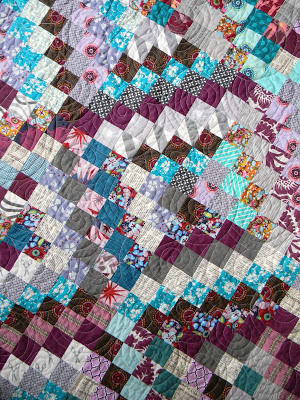 If you keep it scrappy, the "trips" are a little wonky and broken up, which makes it all the more interesting to me. It is really fun to arrange and rearrange them on my design wall. 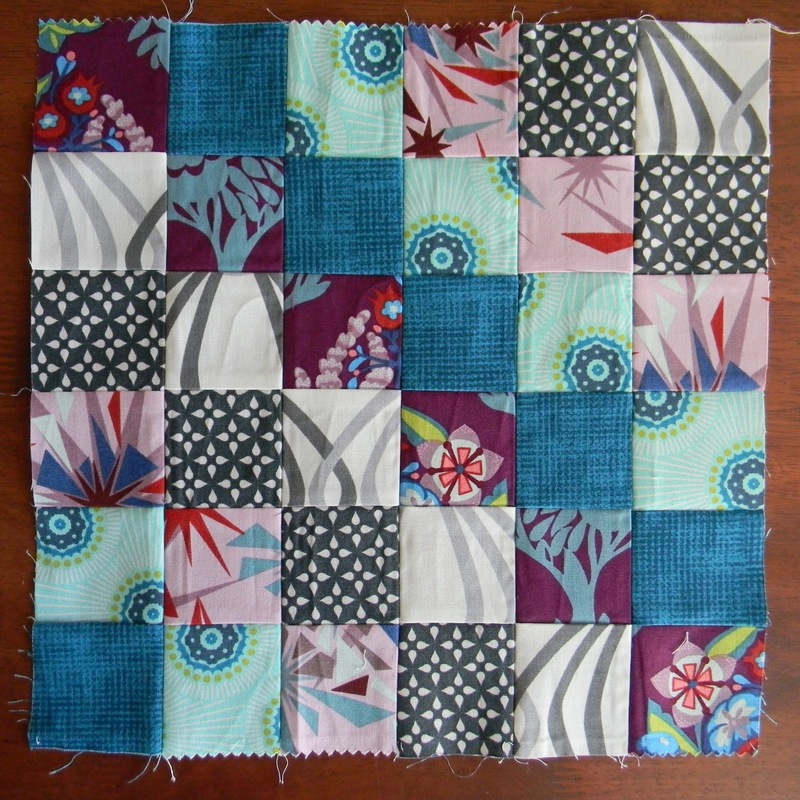 I have 16 blocks so far with strips for another four. Perhaps 25 would be a better size. It's a lot of fun, so I'm not in a rush to finish. No, I didn't make this pillow quickly today. I actually finished it last month; I just forgot to show it. All 144 squares (1.5 inch finished) came from my scrap bin and provided some much needed therapeutic sewing during the holidays. 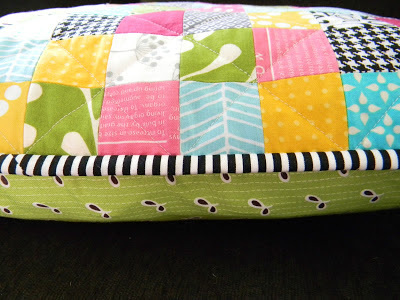 I quilted it simply with a crosshatch through every other squares and added a zipper closure using my favorite method. 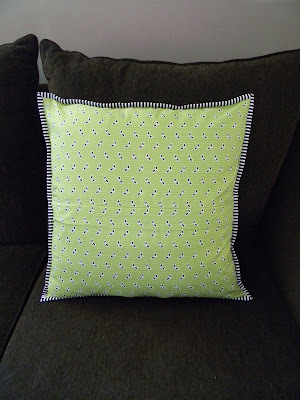 Here you an see what it looks like then you use matching fabric for the flap, rather than contrasting as I did with my last pillow. I bound the edges like a quilt. A thin binding strip looks a lot like piping and frames the pillow nicely. 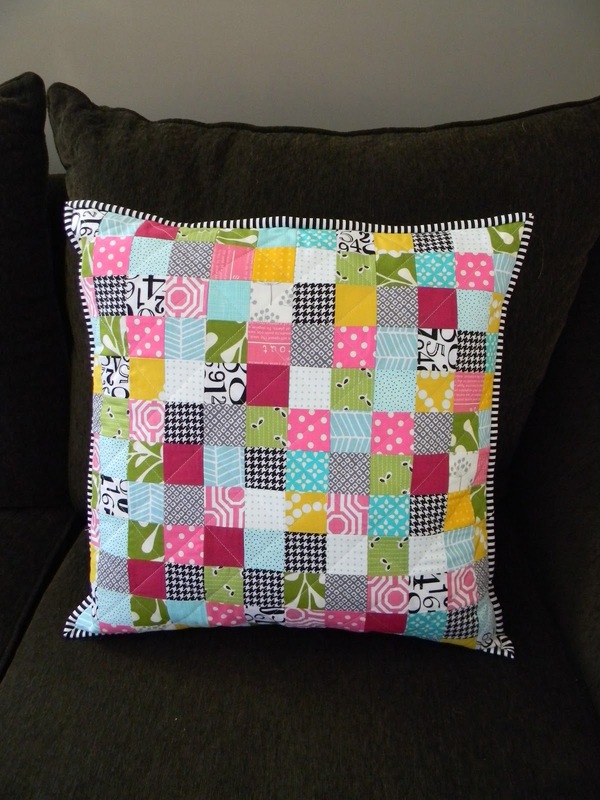 This quilted cover fits an 18 inch pillow form. You can find it in my etsy shop. 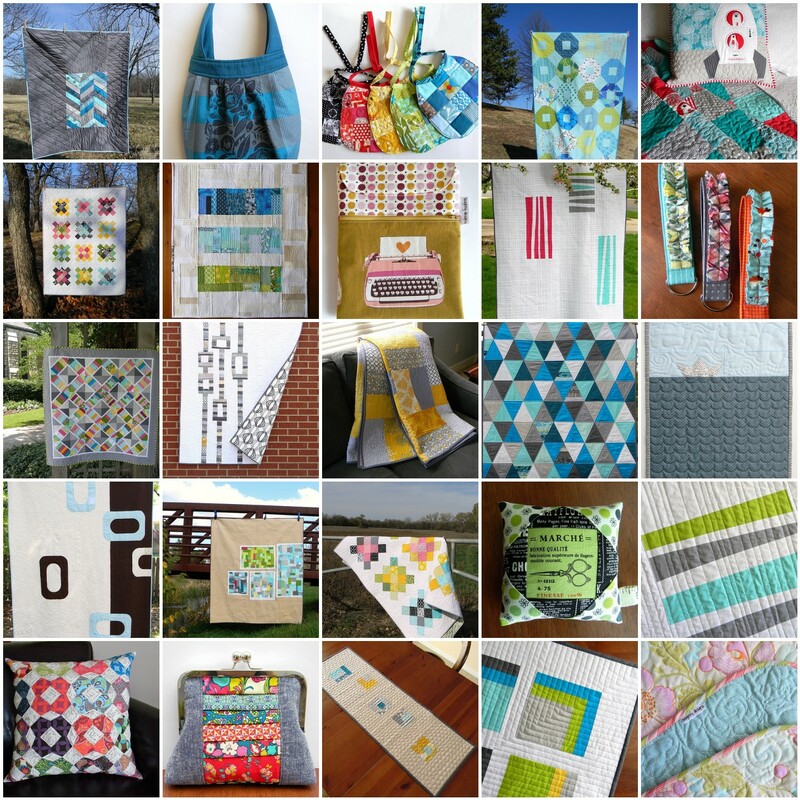 Here is a quick look back at some of my favorite projects from 2012. 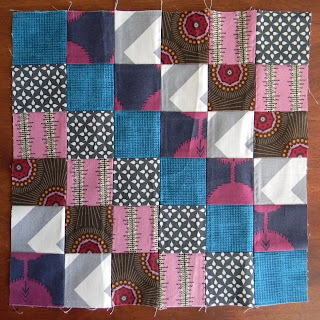 Here's to lots of fun sewing in 2013!